Did you know WSCA sponsors all sorts of events and is always looking for volunteers? We are more than just a radio station. We also do things like… blood drives, lectures, concerts, film screenings, food tastings, bingo, spoken word events, family games, book clubs, workshops, flea markets, cookouts, athletic events, and much more. If you’re wondering how to share your great talents and help build community, then we would love to work with you. It’s easy! Just click the volunteer button below, or call (603) 430-9722 and leave your name along with a contact number and one of our staff will call back. For folks looking to contribute specific skills on a more regular basis, we have needs for volunteers with engineering, teaching, recording, fundraising, software, and human resource talents. 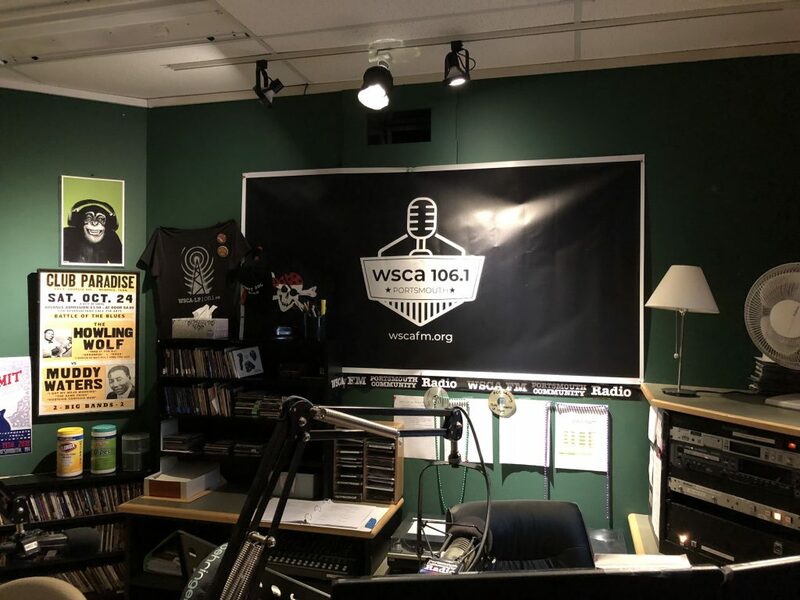 Full list of WSCA Radio Executive Board needs can be found here. Come share your knowledge and enthusiasm! Join the fun. We are Portsmouth Community Radio! Individuals interested in becoming a volunteer show host or DJ must complete a training session. The next session will be announced shortly.